Lucky tree 2 feet step ladder is a must-have for your home. 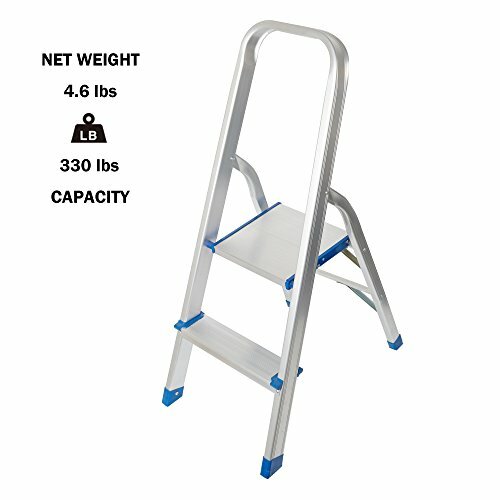 The household stepladder is constructed with heavy duty steel frame which can support up to 330 LBS capacity. The folding design can let you fold it up into a compact size, easy for you to store and transport. It has large and non-slip platform which provides more stability and add more protection. The top handrail offers more space when you step on the top. Lightweight and portable feature make it easy to carry. It is a great choice for you to use in your house. Do not hesitate to buy one!